Finding the right real estate agents in today's changing market can be challenging. 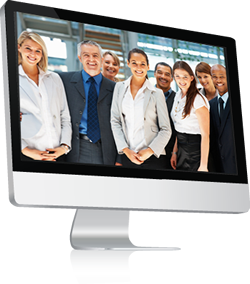 eCampaignPro's Agent Recruiter solution makes it easy to target agents in the areas where you need them, drive them to a customized landing page to capture lead information, and even bring leads directly to your Facebook page. No other solution makes it all so simple. 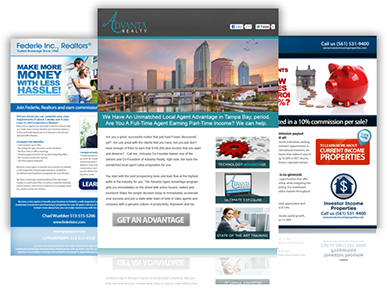 Easily create the ideal agent prospecting list using the industries most up to date list of licensed real estate agents. 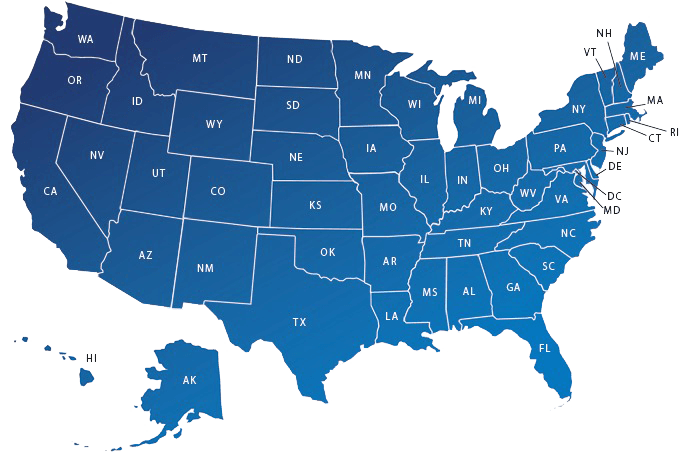 Want to attract agents in Texas? No Problem! just select the areas you want to target and watch the leads roll in. Customized email marketing that gets your message noticed! Our talented designers work with you to create stunning design that gets prospects to act on your offers. Your email is designed to match your brand and deliver the message with maximum impact. After filling out the form on the landing page, they'll automatically be redirected to your corporate Facebook page where they can like your firm and stay in touch. We work with you to create a professional Facebook page and even help fill in lots of useful items for your newsfeed. 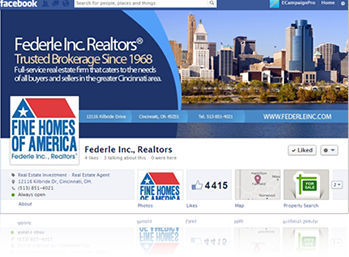 So when you start encouraging "likes", your page is active and filled with valuable real estate information. Plus, our system makes it simple to send your email marketing directly to your Facebook newsfeed. We begin analyzing your campaign as soon as they are sent. Your dashboard is updated in real-time. Use these stats to make your follow-up more precise. New prospects require special attention. They're eager to hear from you and eCampaignPro Agent Recruiter makes sending follow-up campiangs a snap. You choose how to target them based on a variety of metrics such as , email read, links clicked, landing pages views or form submissions. You can create a diffrent mesage for each group. With eCampainPro, your email marketing gets your message out, captures critical information from your prospects so you can engage with them again, and ties all of your efforts into your social network, seamlessly. Our support and design team is here to help you along the way, so you never feel like you’re going it alone.